Rock into spring with a chance to win a 4moms rockaRoo Infant Seat. We&apos;re so excited to offer the chance to win one of our favorite baby gear products, the 4moms rockaRoo! Its sleek, modern design is 70 percent smaller than traditional swings and looks fabulous in any home. The rockaRoo has five speeds, an mp3 hookup, and reversible toy balls. Since babies like a variety of motion, 4moms gives parents options, from the natural up and down and side to side bouncing and swaying motions of the mamaRoo to the smooth, front to back gliding motion of the rockaRoo. A hybrid of the infant seat and rocker, rockaRoo rocks backs and forth like a horse, safely maximizing the sensation of movement for the baby, specifically towards the head, where they feel it most. We absolutely loved ours. You can read a full review of the 4moms rockaRoo here. WIN IT! 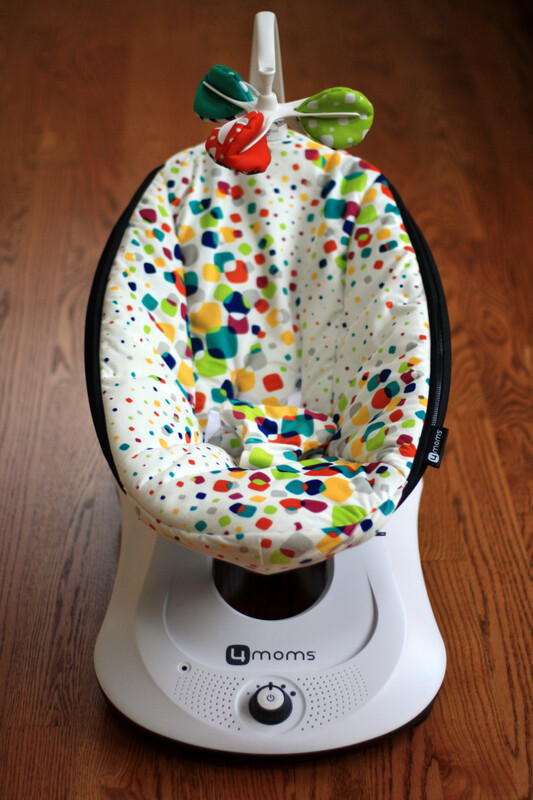 We have a 4moms rockaRoo for one Glamamom reader (a $179.99 value)!